Okay, so, you’re published. Your book is “out there.” It’s “in the world” and “up for grabs.” People can “read it” and “peruse it” at their “leisure” (I like quotation marks). And at first, things seem all right. Fairly predictable. The book doesn’t become an instant bestseller, but it is selling. Your mom bought it, and your dad bought two copies, and so did that slightly weird person who sits in your closet and mumbles a lot. Or maybe that’s just what happens to me. Regardless, your work is now on its own. Living, breathing, and (hopefully) being passed from hand to hand by readers who are – slowly but surely – going to become Your People. Your Followers. Your Army. I picked this boock up because of all the good revuews. But I guess the revuews were all dun by, like, the writers’ parents and stuff. Because the book stunk. It stunk a lot. It stunk like a dead skunk that has severe dysintary and then drowns in its own poop. Also, the author is a ca-ca doodie head and probably has lice and kix baby seals and stuff. Dont read this book, it will give you cooties. You read it. And the questions start. Is my work really that bad? How could this reviewer have so completely missed the point of my book? Where did he learn to spell? What if I do have lice? And, most urgently… how do I respond? To that last, I have three little words: Ig. Nore. It. Okay, maybe that’s four words, I don’t know. I’m a writer, not an accountant. Seriously, though, when you get a review like the above, you must simply rejoice within yourself. Why? Because it means your book is being read. It’s getting out into the world, meeting new people, getting beyond the closed circles of your family, friends, and writers groups. It will inevitably meet up with people that hate it – because it’s not their style, because you did an objectively terrible job writing the piece (it does happen), or even for no good reason at all. And like any good parent, you will have the urge to rush to your “child’s” defense. RESIST. There are really only two likely outcomes if you choose to wage war on the review or (even worse) on the reviewer himself. 1) You try to show the review is “wrong.” The reviewer takes offense and goes to war with you. You now have a dedicated enemy who will attack you at every possible turn, giving you low ratings wherever possible and urging his/her friends and family to avoid your work like a sack of rotten meat. You have just accomplished nothing more nor less than magnifying the effect and range of the viewer’s bile and hatred. Result: you lose. 2) You try to show the review is wrong. The reviewer takes offense and goes to war with you. You mobilize your friends and followers and fight back. A comment war ensues! You beat back the scummy, evil, poor-spelling reviewer. He/she is silenced forever. Huzzah! But wait… those comments are there forever. And you look like nothing more nor less than a prima donna bully. This will keep people from buying your books in perpetuity. Result: you lose. Of the two, the second is gratifying to the author, but far more damaging. I am friends with a great many authors, some of them legitimately Famous People. And occasionally one of them will get their undies in a wad over some disparaging comment made re their work and will mobilize their fans to attack. The fans attack. Or some of them. Some don’t. Some become “un”fans, turned off by the author’s childishness. And though maybe Famous People can afford to lose fans, the average author just can’t. 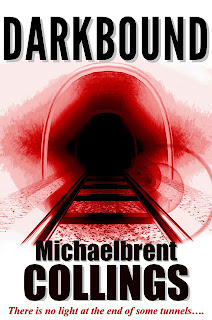 An example: my most recent novel, Darkbound, just came out. It’s a deeply disturbing horror novel about six strangers who get on a subway train that turns out to go everywhere BUT where they want it to. When it was released, a very eminent horror review site called Hellnotes wrote up a stellar review. So did several other review sites. A friend who had received an advance copy sent me a note saying he was… well… less than enamored of it. It was too dark, too violent. Worried, no doubt, about typical author ego, he asked what my response would be if he posted such a review. My response: “Do it!” People have a right to know others’ thoughts. 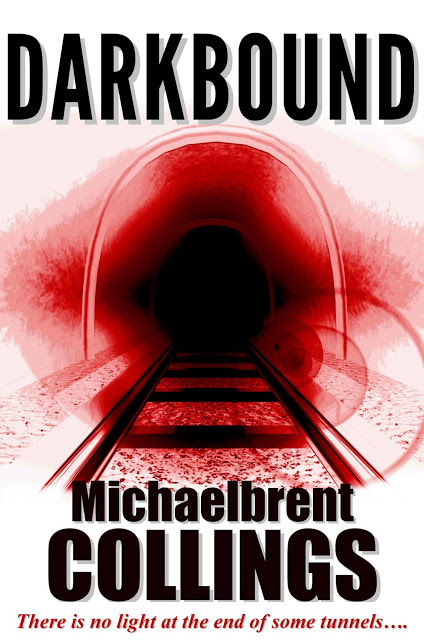 The fact that this reviewer didn’t like Darkbound as much as he had liked other books I’d written was a bummer. But it didn’t mean the end of the world, and insisting that he love everything about my work, all the time, would be not merely ridiculous, but counterproductive. The reviews of our work will at times be insightful, helpful, warming. And sometimes it will be shallow tripe that looks like it was probably written in crayon by a five-year-old struggling against some weird form of Tourrette Syndrome. Both are part of being a writer. Don’t respond to either (even the good ones – that can be a bit “stalky” and can also mess with your fan base). If you want to interact with fans, get a Facebook page, a Twitter account, or stand on a box in Hyde Park. But leave the reviews – and reviewers – alone. Ig. Nore. Them. It is three words. I counted with my fingers. Michaelbrent Collings has written numerous bestselling novels, including his latest novel http://www.amazon.com/Darkbound-ebook/dp/B00B6NY4SYDarkbound. His wife and mommy think he is a can that is chock-full of awesome sauce. Check him out at www.facebook.com/MichaelbrentCollings or michaelbrentcollings.com. Andre de Laurent is the second son of an extremely wealthy family, which basically means he’ll always be number two. That is, until his mother’s uncle dies and leaves him a multi-billion-dollar fortune. So what’s the trouble? Andre has sixty days to take a wife, and he’ll have to remain married for one year or forfeit the inheritance to distant relatives—who are hell-bent on claiming the inheritance as their own. Aspiring actress Tasha Gordon has never wanted anything quite so much as that big break—until she met Andre de Laurent. Could his offer turn out to be the role of lifetime? Can you give a brief overview of your latest book? Is it part of a series? Currently I am working on the second book in the Chronicles of the Celestial series. I am in the process of possibly making some changes to the title but the second book continues Sydney's journey to save the Earthly Realm from a great evil. Sydney is getting the hang of using her abilities and embracing her magical birthright. 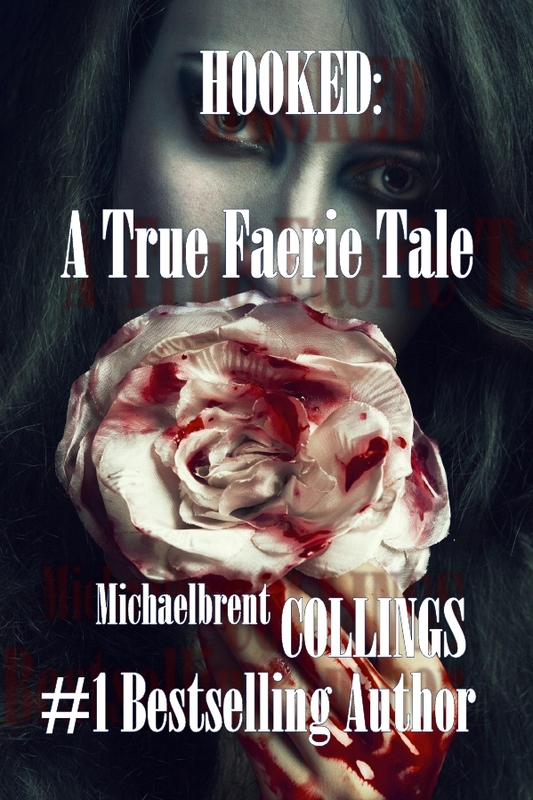 More secrets of her past are revealed as she travels throughout the dimensions to search for a magical being that is wanted within the supernatural world. My favorite character has to be Sydney London. She is beautiful, real loving, strong, resilient and complex at times. Despite the fact that she is a powerful member of the magical community, she is compassionate, relatable and humorous. She is open, embraces her feelings and speaks her mind. What factors influenced your decision to self-publish your books(s)? The most important factor that influenced my decision to self-publish is having creative control. With creative control I have the ability to control every aspect of the publishing process. My writing process is pretty random. Every time I have the opportunity I write, but it all starts with jotting down a few ideas. I write my books in notebooks first, and then I type them into a document in my laptop. I do not listen to music, I usually have the television on low. It’s easy for me to write with the TV on because when I am writing I am transformed into the characters and worlds I create. I am not easily distracted. The self-publishing journey really has been a literary journey. There are so many aspects of the publishing world that I have been exposed to and other aspects I have yet discover. What I can say about the industry is that it is a consistent process of learning. The industry and process is very detailed and as a self-publisher you must learn to be flexible, patient, and professional. Besides Amazon are there any other sites where your books are for sale? My books are also available at Barnes&Noble and Smashwords. There are multiple eBook formats of Swept into the Darkness. It is extremely difficult to balance my time between marketing Swept into the Darkness and writing the other books in the series. I spend a little time everyday on everything. I am a really good time manager so as of now things are falling into place nicely. Book two in the series is complete. I am typing it on the laptop and book three is currently being handwritten. I am writing the final chapters. Do you outline your story or go where the story takes you? I use a combination of both. Usually I just go with the flow of where the story takes me but there are times that other ideas about characters and events come into my head. When I am inspired I outline those ideas. Besides writing to you have any other passions? I have many passions, I love to paint, draw, read, watch movies, and eat different foods. Experiencing a variety of elements of creativity is my passion. There are a few things I have lined up for the near future. I will be starting my own publishing company. I also will begin a new book series. I already have the name for my company and the title of the first book in my post apocalyptic fantasy, which I cannot disclose for copyright reasons. PR announcements will be made at the appropriate times. Tour Prize - $25 amazon gift card and a signed copy of the book. Nobody Has to Know is a dark and somewhat daring psychological thriller that, tells the story of Cameron Baldridge, a popular high school teacher whose relationship with one of his students leads him down an unfortunate and self-destructive path. Stalked through text-messages, Baldridge fights for his life against a terrifying extortion plot and the forces that threaten to expose him. Nobody Has to Know is a sobering look into a world of secrets, lies, and shocking revelations, and will leave the reader wondering many things, including whether or not you can ever really know the person you love. On a more profound level, Nobody Has To Know illustrates how the landscape of our past influences our present and how, sadly, some of these more indelible moments hold us prisoner for the duration of our lives. It has also been described as a cross between Fatal Attraction and The Last Seduction. Well, all of the characters in this novel are severely flawed, with the exception of John Volpe. Consequently, it is difficult for me to really “embrace” any of these individuals. However, as far as fulfilling my creative intentions, I’d have to say that Cameron Baldridge evolved into the multi-faceted character that I had hoped for. Cameron is deeply mired in past tragedy and grapples with very self-destructive proclivities but is essentially a decent person who is victimized by poor judgment. I believe that Cameron is an appropriate vehicle through which many of the novel’s themes may be conveyed. Sure, minor characters sometimes burgeon into more prominent figures. The important thing is that all characters, minor or major, become real. In any great work, one that resonates with the reader, there needs to be authenticity with regard to the characters. If a reader does not invest in the characters, the author’s message is lost. It is my experience that “real characters” think and act just as real folks would. There is nothing contrived about their existence – their words and emotional responses to situations are emblematic of those of real people. This can be accomplished in part through the use of flashbacks, which become windows into the psyches of these individuals. If a reader knows where a character has been, where he is presently becomes far more plausible. I have been published in the traditional fashion three times. And for Nobody Has To Know, my agent and I pitched the manuscript to several legacy houses, many of which were interested. The one reservation they had, however, was with the social taboo of a teacher becoming romantically involved with a student. Many editors suggested changing that aspect of the story, something that I absolutely refused to do. As a result, I decided, with the help of my agent and assistant, to publish directly through Amazon. It was certainly the right decision, as the book has received much praise, including a glowing endorsement from Nelson DeMille. This is always a most interesting question to answer. I have heard so many authors delineate the process by which they write a novel. Many of the traditional methods include outlining, character sketches, and timelines. None of this applies to me. And while I do not think this is an indictment of any sorts, I do feel a little left out. I have yet to talk to an author who does what I do. My process is far less formulaic. And it varies each time I pursue a new endeavor. Most of what I do early on begins and remains in my head. There is no paper involved. The only variable is how I actually begin. For instance, my first novel, Echoes From The Infantry, began with a very complex character who suffers from the insidious residue of WWII. He was fully developed in my mind before I ever wrote one word. The fictional framework came later on. In the first Mickey Tussler novel, it was just the opposite. I had already written a first chapter before I ever really knew exactly who my protagonist was going to be. The same is true for my latest novel, Nobody Has To Know. Things tend to evolve with me at their own pace. This is the beauty of the writing process. Stories come from so many different places and are executed in so many different ways. Silence is a must. Just the sound of my fingers tapping the keyboard is all I need. My agent and assistant have really helped me promote the book through a wide variety of venues, including Blog Tours, Facebook, Twitter, and Goodreads. It has been a fairly time exhaustive endeavor, but well worth it. Believe in your work. Find some readers you can really trust to provide you with objective feedback and perfect your story. Once you have reached the level at which you believe the work is viable, pursue a reputable avenue to get your book out there. I love the beach, especially in the off season. I spend a lot of time there. I am also a rabid baseball fan, so many hours are spent watching my two sons play the greatest game there is or lamenting the fate of my New York Mets. Country music aint so bad either! Naturally, many of these things have a tendency to creep into my novels. The most obvious case I suppose is the baseball backdrop for my Mickey Tussler series. There is always, I believe, a lot of every author is each novel he/she creates. However, I suppose in light of the subject matter of my latest book, I should issue the disclaimer that not everything that appears in a work of fiction is rooted in personal experience. I am presently working on the third installment of my Legend of Mickey Tussler series and also playing with an idea for another thriller. Both works are very different but equally enjoyable to write.